Vodacom is keeping its options open when it comes to taking legal action against the Please Call Me movement and others that have spoken against the mobile operator over the way it is handling the compensation owed to a former employee. 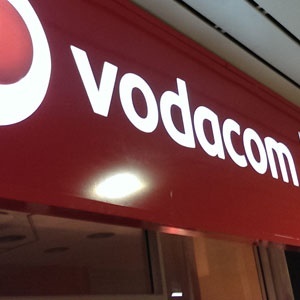 Vodacom on Friday held a conference call with reporters about its position on various issues related to the settlement it has offered Nkosana Makate, a former employee who brought forward the idea of a call-back service in the early 2000s. For almost two decades, Makate and Vodacom have been in a legal battle over the compensation owed to him, it even reached the Constitutional Court. Earlier in January Vodacom told Bloomberg that the group had decided on the settlement amount. However, in a Facebook post, Makate said that he did not agree to the offer. Makate has indicated that he will apply for a judicial review of the offer. Nyoka said that Vodacom is yet to receive the application to understand the grounds of the review. He also said this is the final offer from Vodacom and it is legally binding, unless it is overturned by the courts. Makate has received support from government officials and a #PleaseCallMe movement has since emerged on social media with more individuals voicing their support. Vodacom had to shut down its campus in Midrand on Thursday, as the Please Call me movement, in support of Makate, arranged a protest at its headquarters. Spokesperson Byron Kennedy said that the mobile operator respected the rights of South Africans to protest in a "peaceful manner". Commenting on the movement, Nyoka said that "they do not have a national footprint by any stretch of the imagination". As for the movement mobilising international support, Nyoka said that Vodacom will see it as an opportunity to tell its side of the story, and Vodacom would do the same if government got involved. "Even with government, we will tell our side of the story and reason will ultimately prevail," he said. When asked if Vodacom would take legal action against those speaking out against it, Nyoka said, "We are keeping all our options open. And if it becomes necessary at some point that we have to assert our rights through the courts of SA, we are not going to hesitate to do that. We believe that SA is a govt of law and that the rule of law to all intents and purposes should trump anything that seeks to undermine it." Vodacom has asked Gauteng Education MEC Panyaza Lesufi, who has publicly called for Vodacom to pay Makate on Twitter, to desist from making "false and defamatory comments" about the company. Communications Minister Stella Ndabeni-Abrahams also tweeted that Vodacom should "just shut up and pay him". The minister has since deleted the tweet. Takalani Netshitenzhe, chief officer of corporate affairs said that Ndabeni-Abrahams and Lesufi are both key stakeholders and Vodacom has "good relationships" with them. "We understand that the comments that were made, were made at the heat of the moment. In the spirit of continuing our good relationships, we are continuing to engage them," she said. Netshitenzhe confirmed that Vodacom will be meeting with the communications minister ahead of the State of the Nation Address to discuss policy issues.